It’s no surprise but the best of the best will on hand for the United States at the 2017 Nike Hoop Summit. 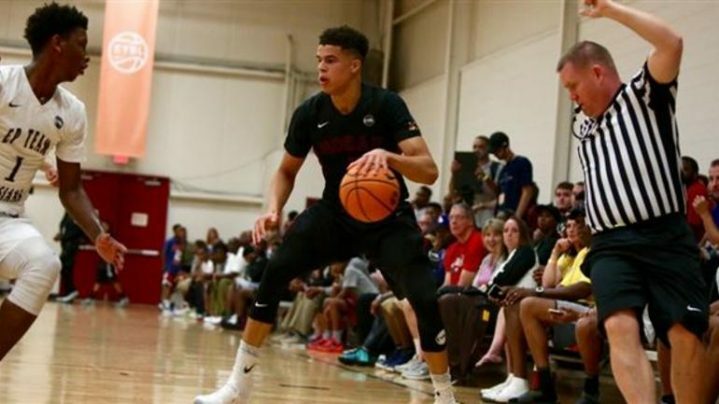 The headliner for the USA Junior National Select Team will be Michael Porter Jr., the number one ranked player in the class of 2017 who will be headed to the University of Washington in the fall. But Porter is just one of the great players chosen by USA Basketball for the 20th annual Nike Hoop Summit, scheduled for 7 pm on April 7 at the Moda Center in Portland. Joining Porter from the 2017 ESPN Top 100 rankings are numbers 3-5 Wendell Carter Jr., Trevon Duval and Mohamed Bamba, respectively. Three more top-10 ranked players were chosen as well in Kevin Knox II (7th), Gary Trent Jr. (8th) and Collin Sexton (10th). Rounding out the USA team are Jaren Jackson Jr (16th), Troy Brown Jr (17th), M.J. Walker (19th), Quade Green (22nd) and Jarred Vanderbilt (23rd). The number two player in the class, DeAndre Ayton, very well could play in the Hoop Summit – albeit for the World Team as the Arizona-based big man hails from the Bahamas. The World Team will likely be named in the next two weeks or so. But in the meantime, it should be noted that USA Basketball has named a group of players with a healthy share of international hardware to their names. Carter and Trent – both heading to Duke in the fall – helped the United States to the gold medal at the FIBA U17 World Championship 2016 along with Brown, who is on his way to Oregon; Michigan State recruit Jackson; Alabama-bound Sexton; and Knox. Sexton was named the MVP at the U17 Worlds while Carter was also on the All-Star Five. That Carter-Knox-Trent trifecta also won the title at the FIBA U16 Americas Championship 2015 along with Vanderbilt, who will be looking to showcase himself at Kentucky. The United States will be the heavy favorite at this summer’s FIBA U19 Basketball World Cup 2017 and four of the Hoop Summit players helped USA qualify by winning the title at the FIBA U18 Americas Championship 2016 – Porter, Bamba, Kentucky commit Green and Walker. The only USA Hoop Summit player who hasn’t won a title with the United States is Duval, who did participate three times in mini-camps with USA Basketball. The USA team will be coached by Miles Simon, who was an assistant at the FIBA U17 World Championship 2016. And the former NCAA champion with Arizona and ex-NBA guard knows this group is loaded. The USA roster is packed with just about any kind of player for a fan to fall for – a big man, a speedy guard, a freak athlete, an amazing all-arounder. And the Americans are are looking to win their third Hoop Summit in the last four editions. David Hein has covered and scouted European and international basketball since 2001. The great game has taken the Chicago native around the world and back. Hein writes for FIBA, FIBA Europe and EuroLeague while also publishing on his own website www.heinnews.com with a weekly international hoops podcast, Taking The Charge. He also writes a weekly youth basketball column for FIBA called David Hein’s Eye on the Future.